The biology team has been transitioning to standards based grading over the past year. You can read more about the practice and the philosophy behind SBG here. Our goal was to align our assessments (both formative and summative) to our learning targets so it was clear to both us and to students what their current level of understanding was for a specific learning target. 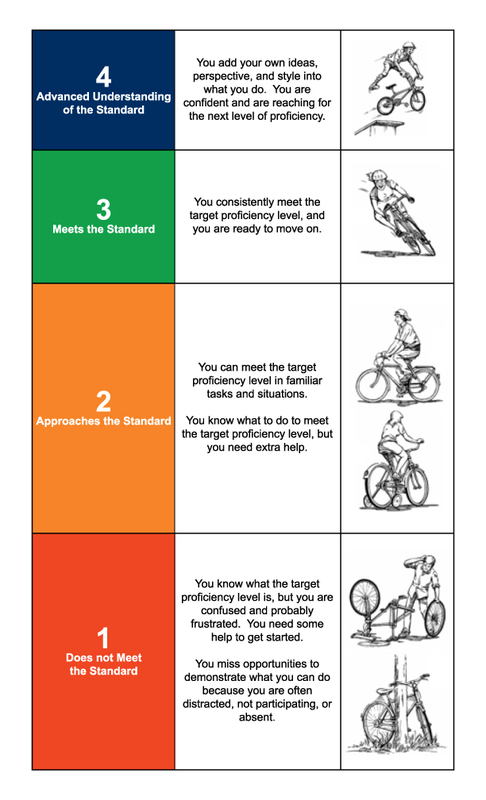 Standards based grading can provide meaningful feedback for a specific skill or standard. Our transition is still a work in progress and needs fine tuning, but I feel that it has increased transparency in the grade book. I can say to a student that they have a "C" in class not because of arbitrary points earned on quizzes or homework, but because they have not met basic understanding of specific learning targets. 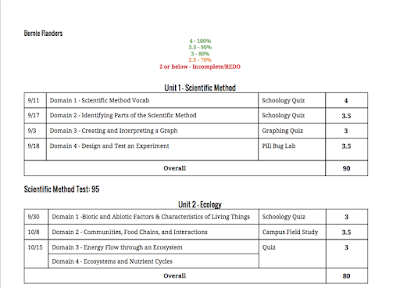 What my custom SBG progress report looks like. 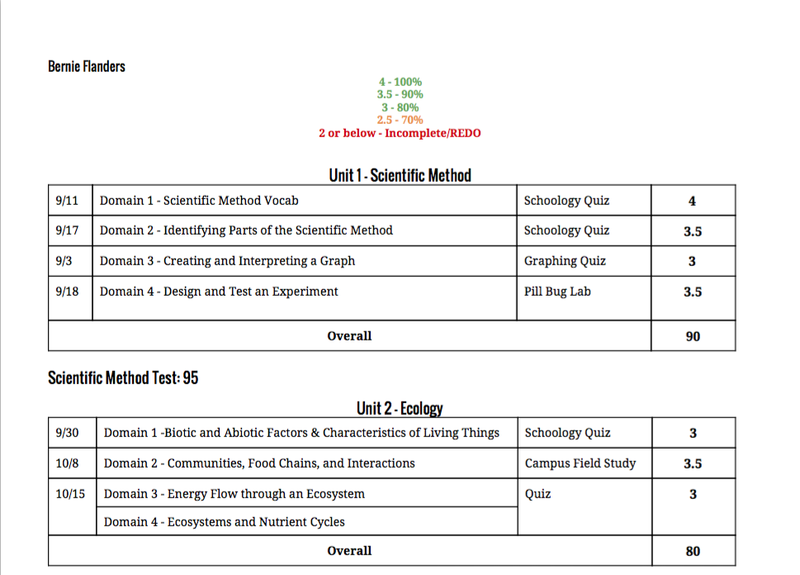 To create these grade reports, I use a google sheet add on called "Autocrat." It takes information from a spreadsheet and inputs it into a template. From there, a PDF or Google doc is created and can be emailed to the specific student. With a little set-up, all of this becomes automated with a single click! It is a little extra work on my end, but I have found that the clarity helps my students understand what specifically they need to improve. Create - Annotate - Publish!